Why is eero called eero? There’s a common psychology theory which suggests that in order to thrive, humans have a defined set of needs that have to be met. 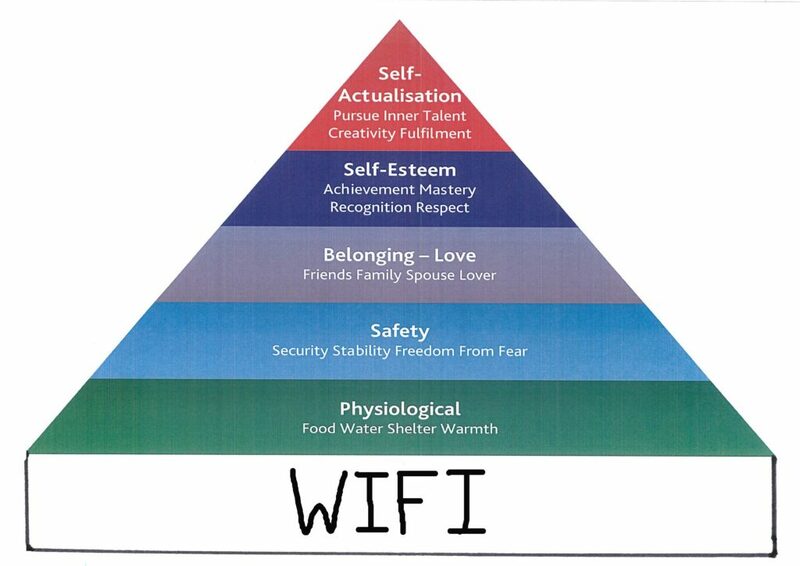 This is knows as Maslow’s Hierarchy of Needs. Since the 1940’s, we’ve ranked physiological needs (like food and water), safety, belonging, esteem, and self-actualization, in that order, as crucial to living a fulfilled life. But in recent years, the hierarchy seems to be shifting–at least in jest. It has become a running joke that internet access now supersedes even the most basic human needs. And although some needs should always come before internet, there is some truth to it. These days the world wide web has a prominent presence in almost everything we do; we use it for work, to stream TV and movies in our downtime, and even to regulate the comfort and security of our homes in some cases. It’s no longer enough to have a single modem with an ethernet hookup, or even a single wireless router. With more and more devices to power, wireless internet systems are evolving into their own cloud-based networks. Newer systems utilize several hubs and satellites with mesh technology to cover even the most remote inches of your home or office. 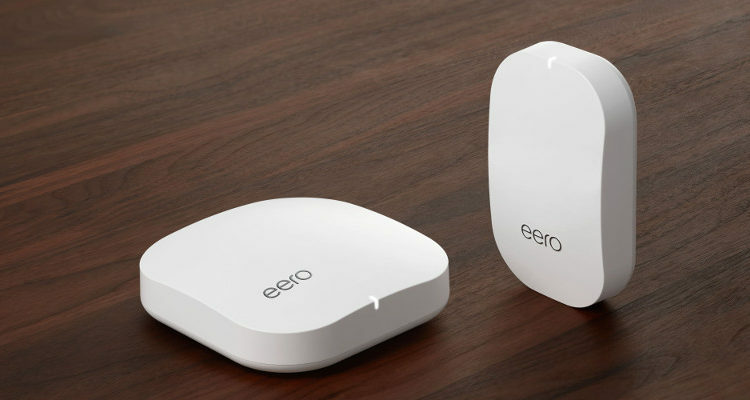 Why is it called eero? Though not the only device of its kind (Netgear, Linsys and Amazon offer reputable competitors), eero’s compact and elegant design might be what sets it apart. It’s not only designed to meet a prevailing need, but to look good doing it, too. In fact, eero is so driven by good design, the founders names the company after world-renowned designer Eero Saarinen. Saarinen is a famous Finnish American designer known especially for his work on the Gateway Arch in St. Louis and the Dulles International Airport. But it was probably Saarinen’s work on Weaver’s Chicago elementary school that elevated him to namesake status. Despite all that influence, the name eero actually came as an afterthought. According to A Hundred Monkeys, the WiFi company was originally named Portal, which is obviously a more literal description of their offering. But to align with a unique product, they needed a more unique name. Today the brand and the hardware aren’t the only things that have been thoughtfully designed. An eero package of any size comes complete with a user-friendly mobile app, enabling users to test speeds, turn off WiFi and create guest networks. You can even connect it to an Amazon device and use voice commands to pause network access. Whatever the change means for their next project, we can be pretty sure it will be beautifully designed.